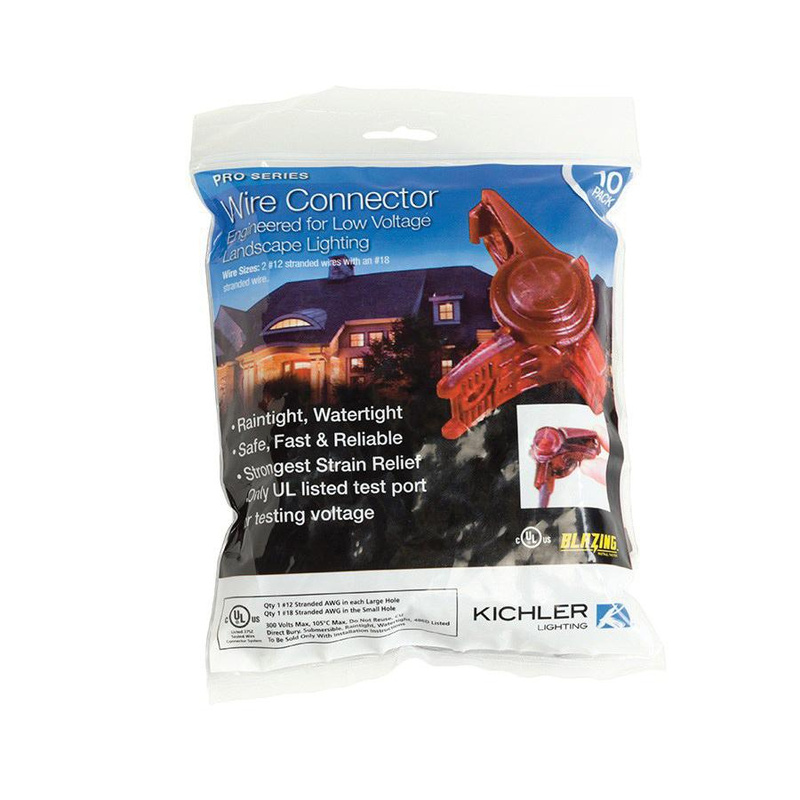 Kichler Landscape Collection Pro Series Wire connector in blue color, features plastic construction. It measures 1-Inch x 2-Inch x 1-Inch. This rain-tight/water-tight wire connector has strong strain relief. It offers safe, fast and reliable operation. Wire connector is cUL rated.